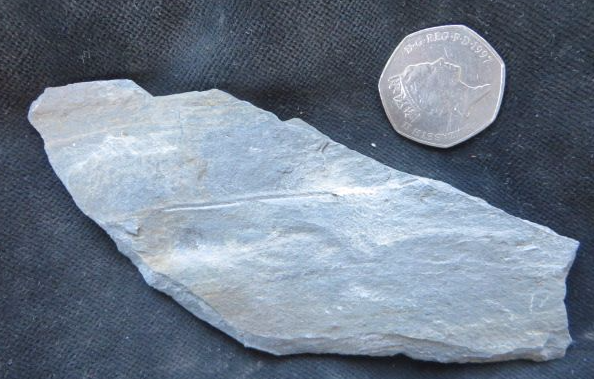 Palm sized piece of grey shale. 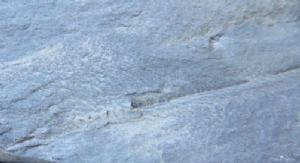 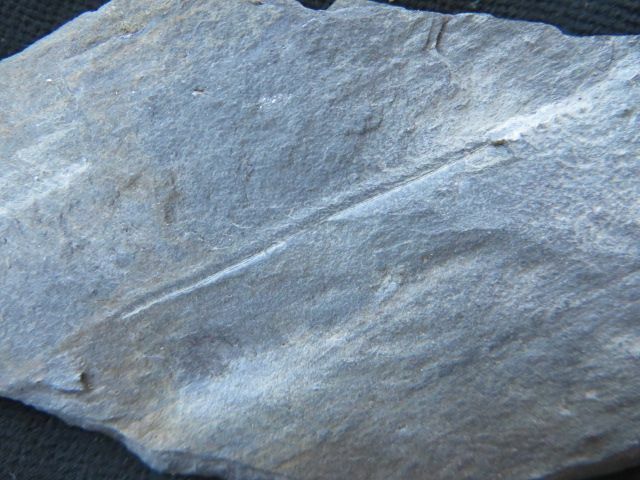 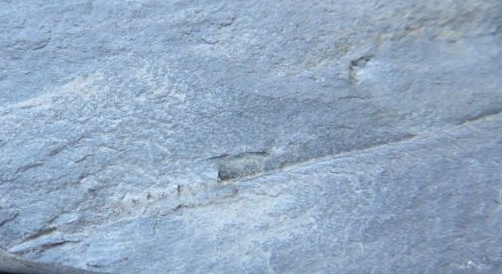 Both surfaces have a single graptolite preserved in part in three dimensions. 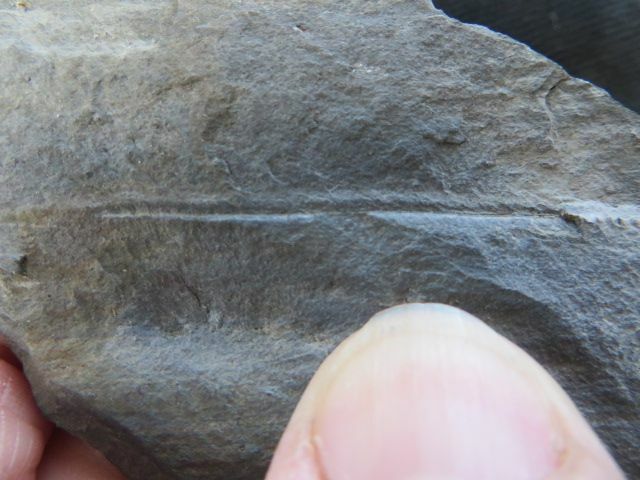 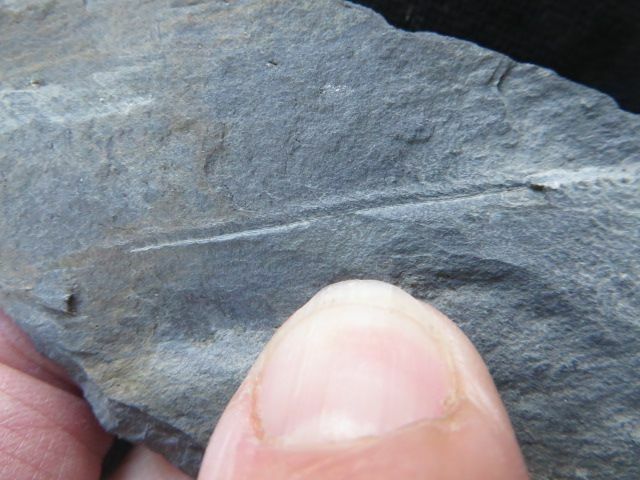 This is very unusual preservation for a graptolite!